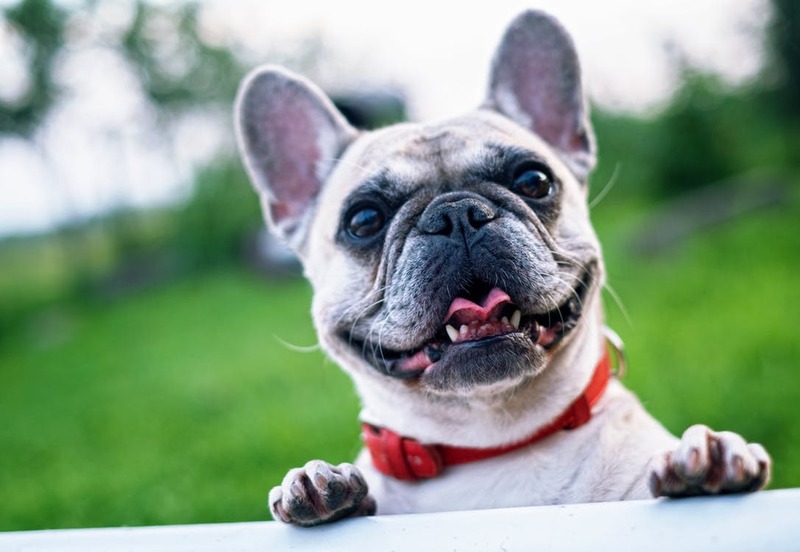 February is National Pet Dental Health Month and we’re celebrating by going over some of the best ways to ensure your dog or cat are getting the best care for their oral health. The American Dental Association recommends adults and children brush at least twice a day after meals and floss regularly. They also recommend regular visits to the dentist and provide guidelines on healthy eating habits and foods and drinks to avoid to keep teeth healthy. For pets, it can be easy to forget that they too need some routine and attention when it comes to oral care. The month of February serves as a great reminder to put a plan in action for your pet’s dental care. Here are some of our top tips. While there are many products on the market that claim to help keep your dog’s breath fresh and clean their teeth, there’s really nothing that can match the benefits of a good old toothbrush and toothpaste. Be sure to use a small brush and veterinary-grade paste and reward them with a treat once you’re done. This positive reinforcement will help train them so they are willing to sit through the cleanings each time. It is recommended that teeth are brushed every 1-3 days for the best results. Cats can also benefit from regular cleaning of their teeth and specially designed paste and gauze on your fingertips to clean their choppers. Just like treats and toys won’t work to clean the teeth, they should also be avoided because some can actually do more harm to the integrity of the teeth and gums. Especially super hard toys that scrape against the tooth, there is an increased risk of cracking a tooth while biting down or even tearing into the gum line and loosening the teeth unnecessarily. As with all toys and treats, never leave your pet unsupervised and if they’re extreme chewers and have started to break apart the toy, it’s time toss it in the garbage. Both cats and dogs should be taken for regular dental check-ups just like their human owners. Whether an exam is done while at their vet check-ups or you set aside some time for actual dental cleanings and procedures, this is the best way to protect them from future health issues. Maintaining a quality diet and taking your pet to be checked out at the first sign of discomfort are also great ways to keep their teeth clean and safe. At Dogwatch of Western Mass, we care deeply about your pets and want to be sure they’re always safe and healthy. Happy cleaning!